Orange County's only full-time standup, sketch and improv comedy venue. Featuring live shows, classes, meetups and more. Comedian/producer Felize Gee brings you an awesome lineup of comedians this Saturday night in Orange County. 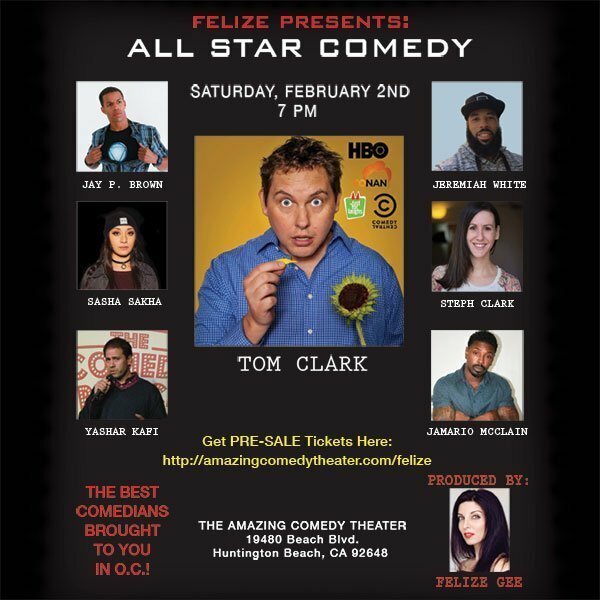 This 90-minute showcase features up and coming comedians, festival winners, and National Headliner, Tom Clark. This is a must-see show. Come join us for this All-Star event! – One-of-a-kind venue. We’re a complete air-conditioned, black box theater with professional sound and lighting located that shares a retail space with a comic book shop (Atomic Wombat Comics). The comic shop is our lobby, so on the way in and out of our shows you can browse and buy comics, toys and other stuff. – We’re an all ages venue. We don’t serve booze and we’re not a bar, so people under 21 can come enjoy a fun night out without needing a fake ID. – No drink minimum. In fact, a free bottled water is included with every ticket purchased to one of our shows. No outside food or drinks of any kind allowed. Absolutely no filming, recording, or heckling. 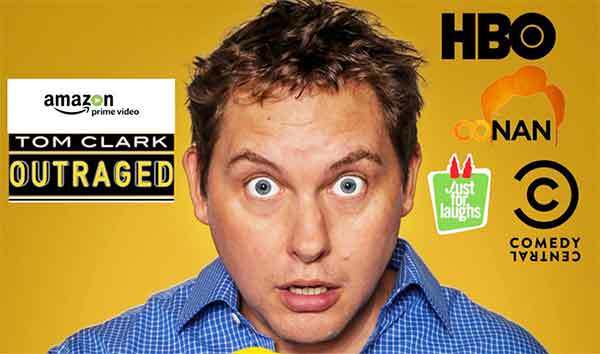 We offer outstanding live shows featuring the best comedians, improvisers and comedy professionals working today. The Amazing Comedy Theater is a place where aspiring and established comedians, actors and writers can improve their craft and become a part of a thriving comedy community. We provide quality standup, improv, sketch, writing and production classes for artists pursuing full-time careers in comedy and folks who just want something fun to do after work and on weekends. Become a part of something bigger and more awesome than normal life. Want to become a part of what we’re doing at the Amazing Comedy Theater? Join our email list below for updates on new shows, classes and events! Our new ebook “The 30-Minute Standup Comedy Manual” is now available on Audible. Get your copy now. Outstanding live comedy shows, classes and events at Orange County’s only full-time dedicated comedy theater. We are located inside Atomic Wombat Comics.